← We then took our measuring skills outdoor to find out the length of our playground for Mrs Stratton. This was great fun ! Big writing in class Spain ! 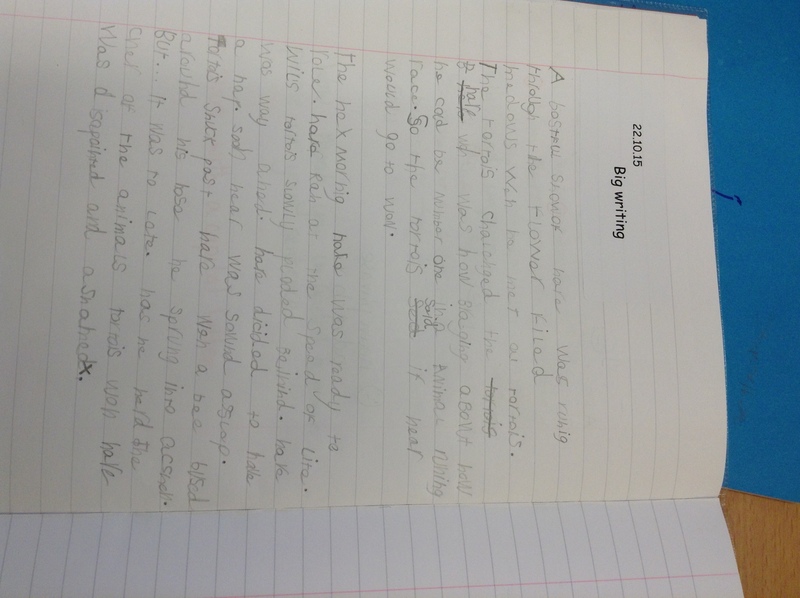 We have been writing fables this week. Have a read of Noah’s work. We were all super proud of his fable.